According to the current situation in America, guns are soon becoming absolutely necessary safety devices for even the common people. As a result, gun safes are much in demand as well. It is not safe to let your gun lie around your house even if you are sure nobody will break in right now. Better safe than sorry. Good thing is, enough safe manufacturers have taken the matter seriously and are trying to manufacture dedicated safes for guns. People are becoming more aware and they do not want to keep their guns in common safes anymore. However, the problem that arises now is that there are too many gun safe manufacturers claiming to be the best. You need to choose the actual best one from among the host of companies that are leaving no stone unturned with their marketing strategies. A good gun safe is one that balances out all these factors. You deserve a gun safe which is good in every way possible. The best kind is the keyless kind, which uses biometric data to unlock. If you are looking for a company where you will get the maximum options on good quality gun safes, you should try gun safes from Liberty. Liberty is America’s number one safe and security Products Company. Durability: Liberty gun safes are manufactured in the most advanced process to increase the durability of each safe. Even the small parts like nuts and hinges are made from the best quality. Body Material: The material of the body of gun safes from Liberty is of the best quality. These are the toughest to crack and scratchproof to a great extent as well, if that’s what you choose. Secure Lock Systems: The lock systems of Liberty gun safes are the most secure and the company still does not stop trying to outdo itself. Recently, the size of the regular latches was increased to offer better support. Fireproof: Liberty gun safes can bear up to 86,000 BTU of heat without getting damaged. These safes are indeed safe for whatever precious things you want to store in them. Size: Notice how we said “whatever precious things”, that’s because Liberty gun safes come in various size options. You will get a safe that can hold just a gun. 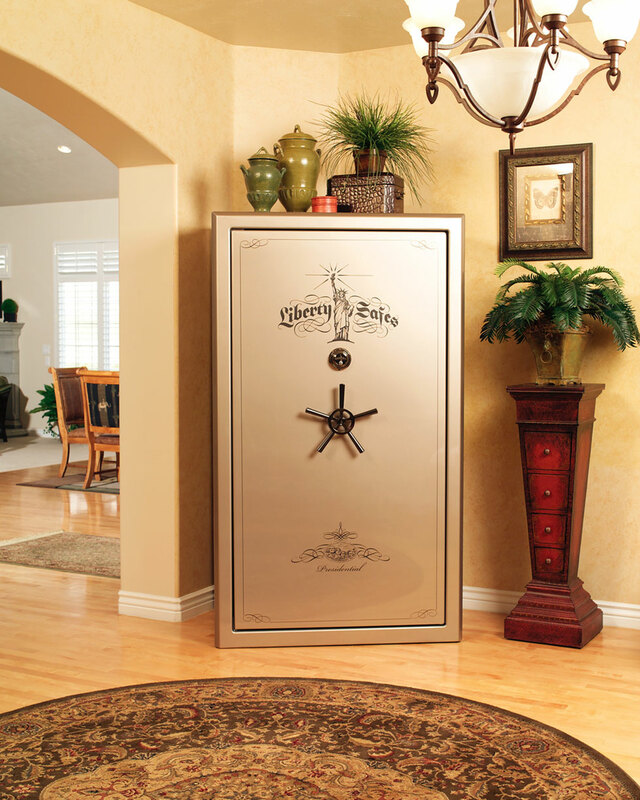 You can also find numerous gun safes which are as big as the old regular safes. You can use these as your personal vault where you keep numerous weapons and other precious belongings that you do not need every now and then. Style: Liberty is the only gun safe manufacturer that knows how to make quality gun safes without making them look boring. There are various color options and the locks and handles are pretty too. You also get the option of a marble glossy finish on some of the models. Price: Liberty Safes and Security Products manufacture good quality gun safes at affordable prices. The company is already the most established and therefore capable of offering you the best bargains. So, if you are looking for the best kind of gun safes at a reasonable price, Liberty is the company you need to look into.